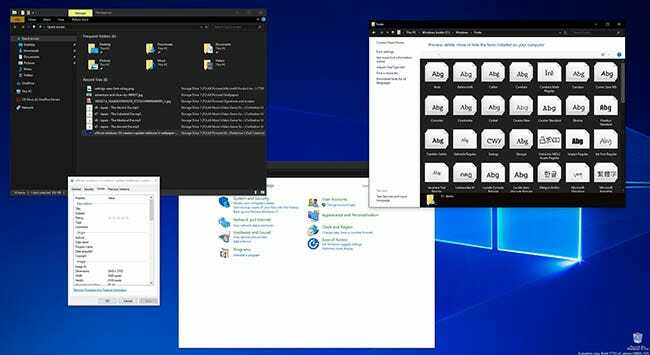 Microsoft seems to be struggling with Windows 10’s dark mode, as a supposedly “complete” dark version of File Explorer makes clear. Windows 10 has offered a dark theme for months now, but it’s applied inconsistently—most third party apps don’t respect the setting, for example. But File Explorer not working stuck out in particular. Which is why users got excited when Microsoft publishing a blog post claiming that File Explorer’s dark mode is “ready for the next major release of Windows.” Try the theme out in the latest Insider version of Windows, however, and you’ll see that it’s not exactly complete. This, as a post by Surur at MS Power User points out, is not a true dark version of Windows Explorer. You could argue that some of the light windows are legacy features—a few Microsoft engineers have done just that on Twitter. But these are features people use regularly, so that’s an odd argument to make. I really hope this isn’t the final version, because it looks like a fan-made hack. The blog post says this theme is “ready,” though, so who knows? We’ve talked about how the macOS dark mode puts Windows to shame, and this really isn’t countering our narrative.